While I drew my Egg Robo Redesign, I had the idea of a illustration. "Sonic, while being teleported up to another part of the Sky Sanctuary Zone, looks in the distance at an Egg Robo charging at him." 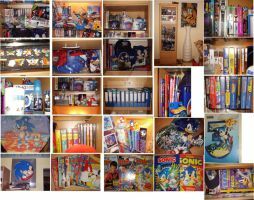 This is the reason why I penciled the badnik the way I did and why I had to draw Sonic after him. Unfortunately, my skills with colors are very bad and the last time I worked on a background was years ago and I'm afraid I may be too rusty to draw a decent one. Whoa, amazing! 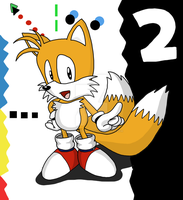 It almost look like an official SEGA design, or one based on Sonic OVA! Great jonb! Actually...I kinda want to do some colorist work. So if you want to look through my profile, and I can send you a colored version of this if you want. As some sort of collab intervewiee. I need to build a portfolio so I can do this on the side as a career in the future. Yeah, sure! Feel free to color this if you want! Also, let me wish you a Happy New Year!